When you open the Avocode App, all recently uploaded designs need to be synced with your app before you can open and inspect them. The sync happens automatically every 5 minutes. 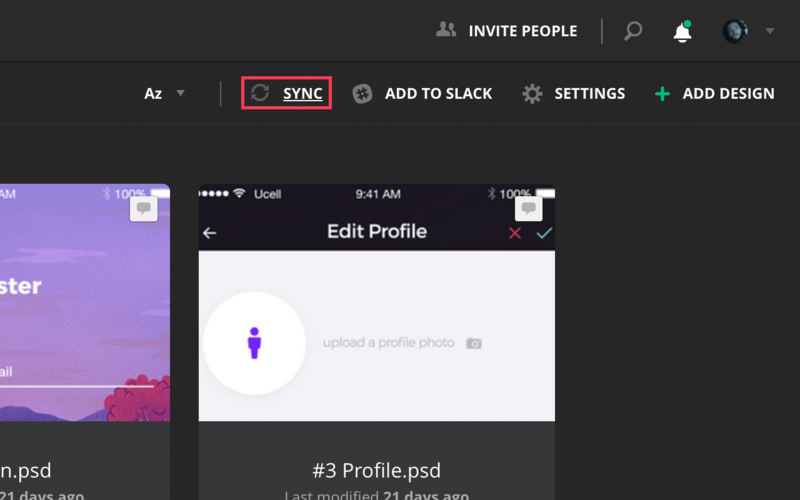 You can also force the sync manually by hitting the sync icon in the top right corner. 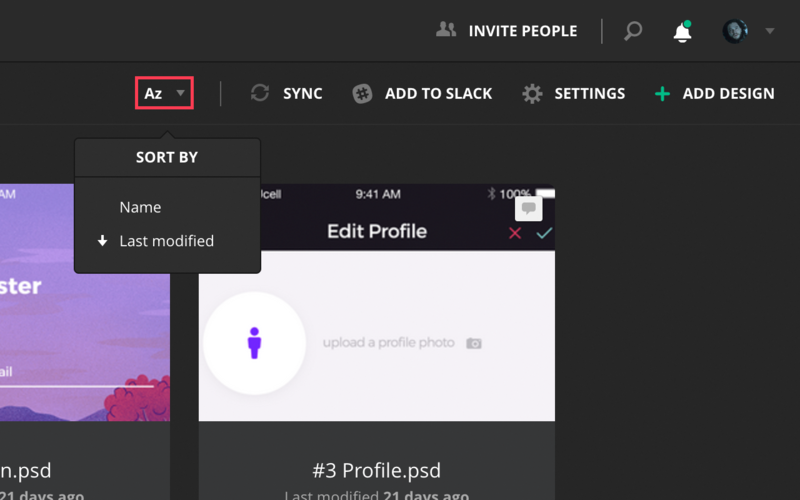 Aside, there is a feature to sort your designs either by “Name” or "Last modified". If you click on each option again, the order of designs will change and so will the little arrow in the drop-down menu. Note: Last modified option shows you designs that have gotten a new version recently. There is also an option to go to Recently opened designs near to top left corner in the Project manager.